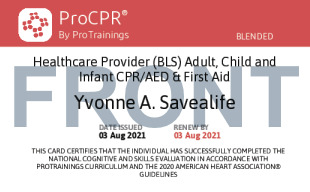 ProFirstAid Advanced is online CPR (adult, child, and infant) and First Aid certification for the healthcare provider. 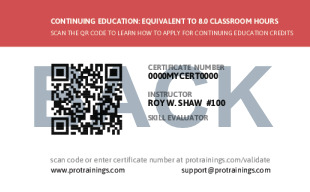 If you are currently certified with Red Cross, AHA, National Safety Council, ASHI or Medic First Aid, you are welcome to utilize the Advanced.ProFirstAid.com program and receive a new, two-year ProFirstAid Advanced certificate. Total course time includes 5 hours and 23 minutes of video training as well as knowledge reviews, final test, remedial help and reviewing downloaded material. ProFirstAid Advanced is rated 4.5 out of 5 based on 67396 ratings.